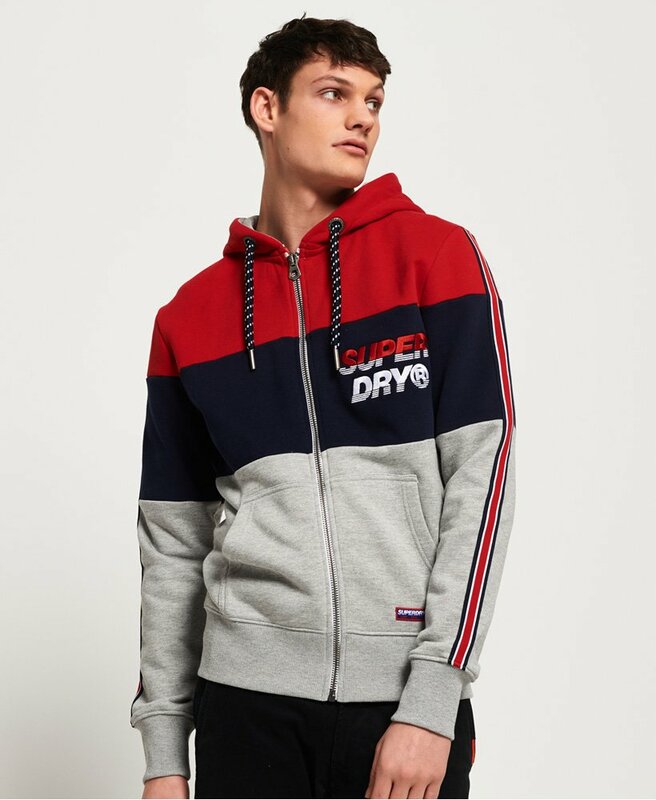 Superdry men's applique oversized Nu Lad zip hoodie. 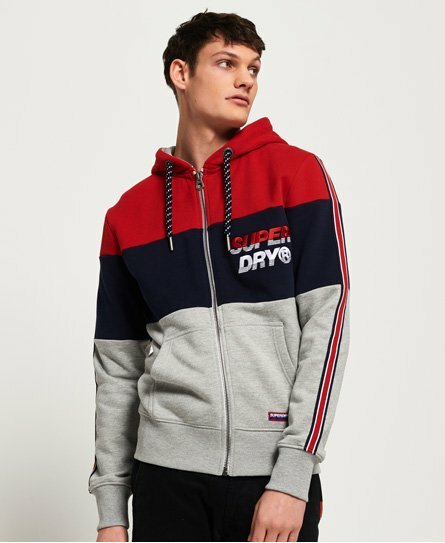 This classic zip hoodie features a drawstring hood, two front pockets and stripe panel detailing across the chest and sleeves. This hoodie is completed with applique logo detailing down the sleeves and a small logo badge on one pocket.